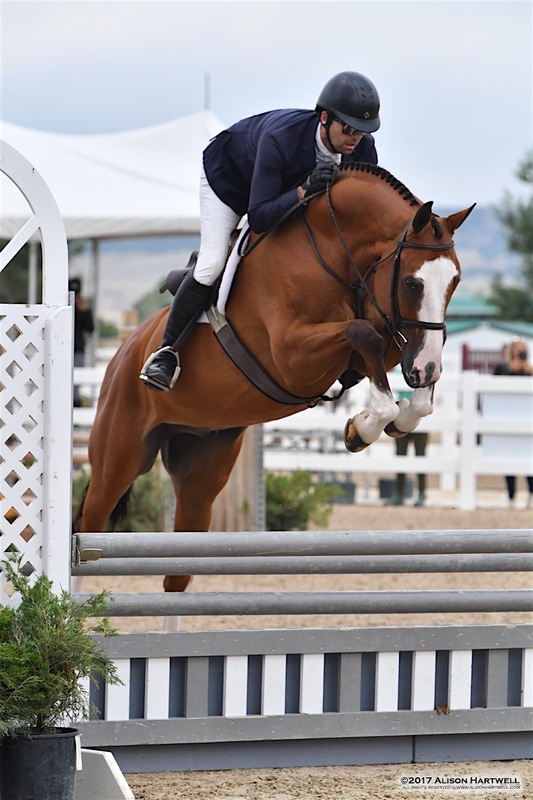 Parker, CO - July 10, 2017 - Michael Tokaruk of Germantown, Tennessee, and his Tokaruk Show Stables are ones to watch this season as the winning streak continues from the Germantown Charity Horse Show and on to Summer in the Rockies at the Colorado Horse Park. 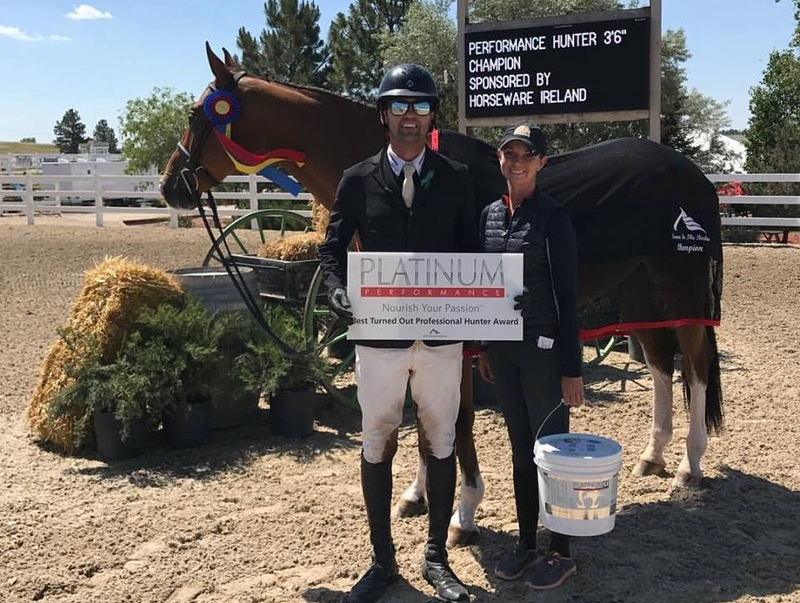 Tokaruk himself came off of a three-peat win in Germantown, where he rode Hit Me Van’t Zorgvliet for Ilan Ferder of Royal Palm Beach, Florida, to win the $15,000 Open Jumper Welcome Stake, the $25,000 Grand Prix of Germantown and the $5,000 GCHS Hunter/Jumper Versatility Challenge. 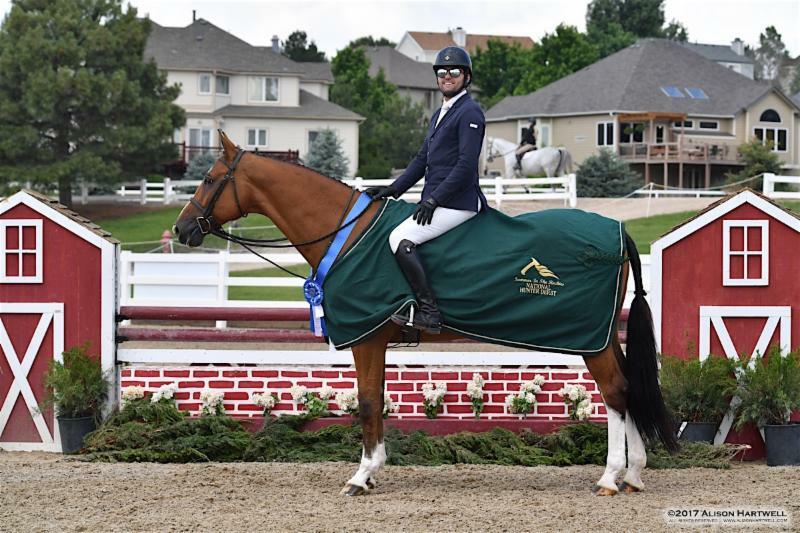 Now in Colorado, Tokaruk rode to the top spot in the $5,000 USHJA National Hunter Derby aboard Sleepy P Ranch's Major. Tokaruk is on a roll with most of his rides being quality sale horses. Michael Tokaruk was presented with the Platinum Performance Turnout Award with Major. "My grooms, manager and working student all work really hard to keep my horses looking and going their best - I can't ever thank them enough," said Tokaruk. "Of course, thanks to Suzanne and Lucas Porter for sending me this awesome horse to show and sell. I think he's a pretty special guy, winning both over fences classes and the under saddle today." Major also is ridden in some of the big equitation classes by customer Mattie Hatcher. "I think he'll just keep getting better at the hunters," added Tokaruk. "He's brave so I knew the derby would be fun and he was amazing in the handy round." In the jumper ring, Tokaruk kept up the winning streak with Hit Me Van't Zorgvleit, taking home the blue in the 1.30m jumpers and a sixth in the $20,000 Welcome Stake and fifth this past week. Right out of the blocks, Tokaruk rode another mount owned by Ilan Ferder, Umano De Le Ruche, to win the 1.25m jumpers by 6 seconds and finished second in the 1.20m jumpers. The new mount finished second in the $5,000 Jumper Derby during week VI, missing the blue by just .03 seconds. "He's a perfect junior/amateur horse," said Tokaruk. "We just got him so this was the first time we showed him." 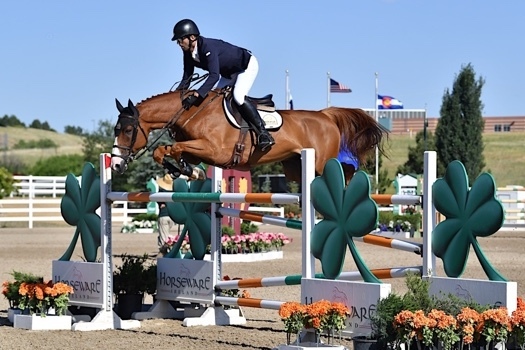 Tokaruk kept on collecting prizes as he rode Emily Reiney's Mathilda in the $5,000 Colorado Horse Park Jumper derby, galloping to a second place finish in the class, behind by only one second. Reiney's second mount, Alexia, ended up second on the leader board in the 1.20m jumpers with Tokaruk in the irons. Rider Annie Reiney, collected a second place ribbon in the Modified Junior/Amateur Jumpers on Mathilda. During week VI, the pair took a swing at the $5,000 Jumper Derby, taking home the 8th place ribbon. 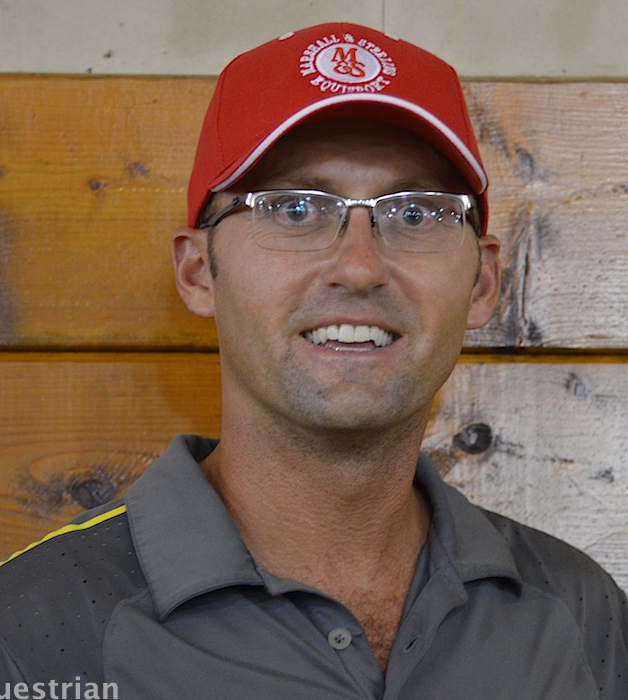 Alex Turner and Vanrock added the High Adult Jumper Championship to the Tokaruk Show Stables banner. Photo Alison Hartwell. Tokaruk Show Stables' riders were red hot in the mountain air as well. 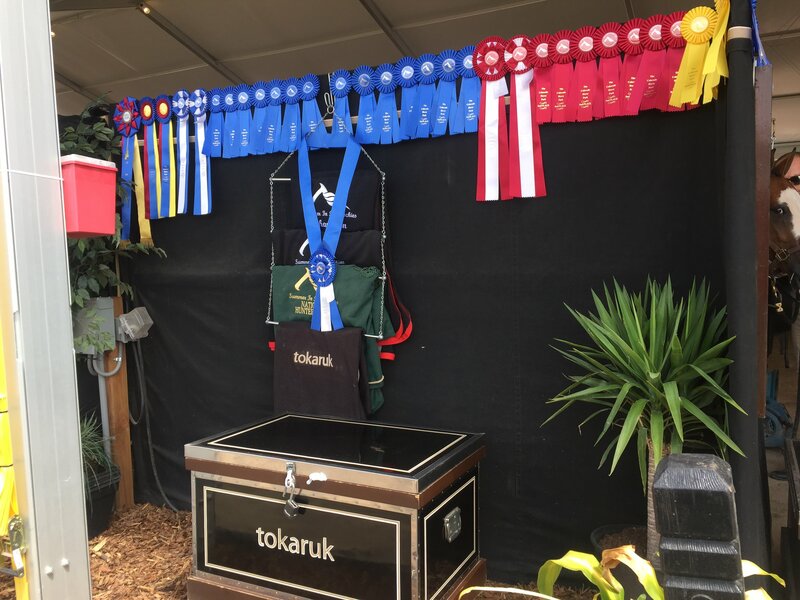 Customer Alex Turner and her Vanrock couldn't be beat in the High Adult Jumpers, adding the Division Championship to the tack room banner for Tokaruk Show Stables. In addition, Tokaruk and Vanrock won a 1.20m class and placed fifth in the CHP Jumper Derby. During week VI, Turner earned a third in the $4,000 Adult Jumper Classic. 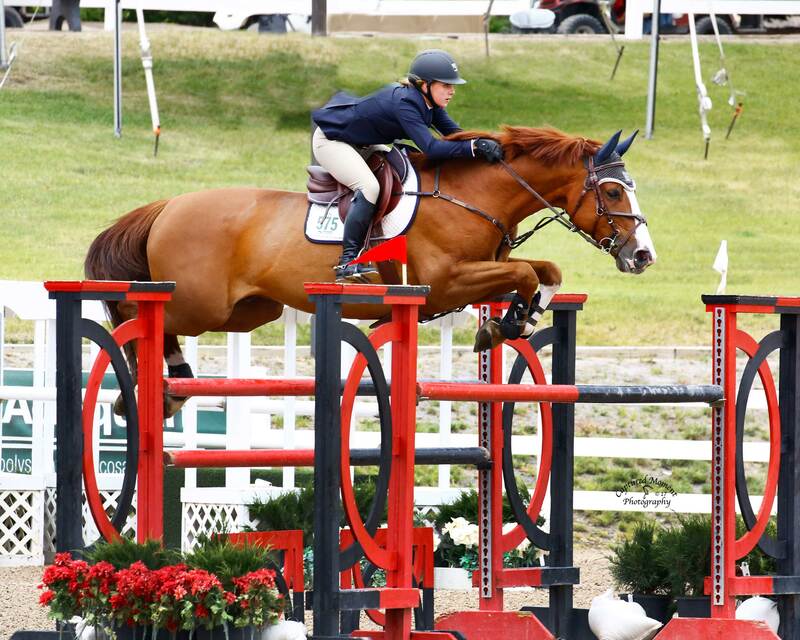 Mattie Hatcher and Cumana won the $10,000 SJHOF High Junior/ Amateur Jumper Classic. Mattie Hatcher won the Medium Junior/Amateur Jumpers two days in a row, once on Hands Free then on Cristiano. 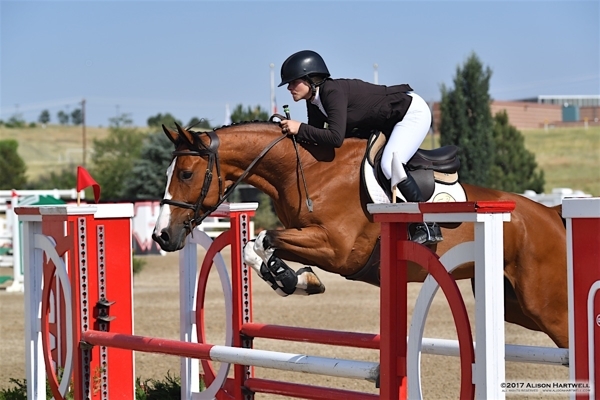 Hatcher continued to bring home the bacon as she won the $10,000 SJHOF High Classic on Cumana and rode to the top two spots in the Medium Junior/Amateur Jumper Classic with Christiano and Hands Freerespectively. Hatcher was also in the top ribbons in the U25 and the $20,000 Open Welcome with Cumana, earning the Theraplate Best Performance of the Day Award. Keeping it in the family, Lee Hatcher captured a second place ribbon in the Low Amateur jumpers with Amicelli and put in clean rounds in the 1.10m on Brianna. Mattie Hatcher and Christiano won the Medium Junior/Amateur Jumper Classic. Maria Roberts catch rode Montague, owned by the Carben Farms, to a double clear round and fifth in the Medium Junior/Amateur Jumper Classic. 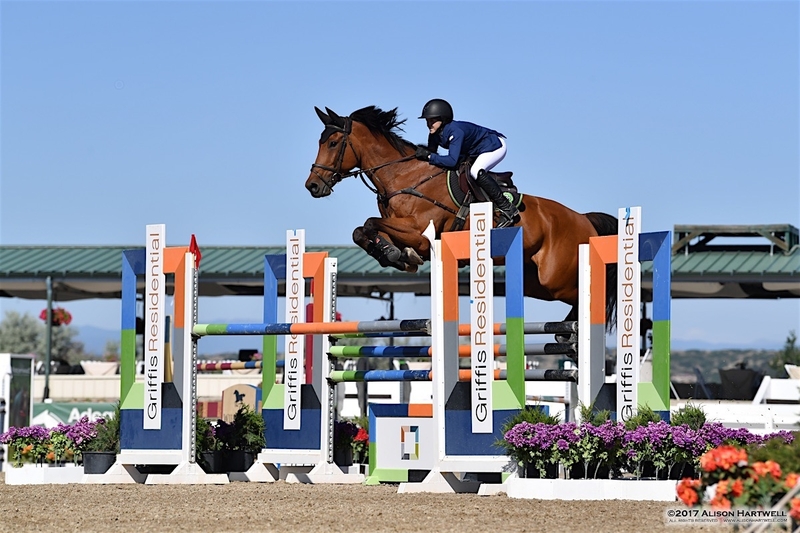 Working student, Delaney Wright rode her new horse, Nox, to two clean rounds in the 1.10m jumpers and a third place win in the USEF Talent Search, her first time ever riding in the class. "We're enjoying it here," said Tokaruk. 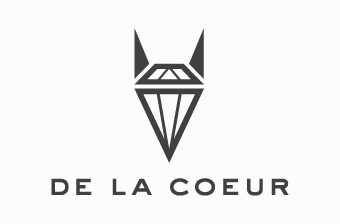 "There's great footing, weather, prize money and the Rocky Mountains. What more could you ask for?" 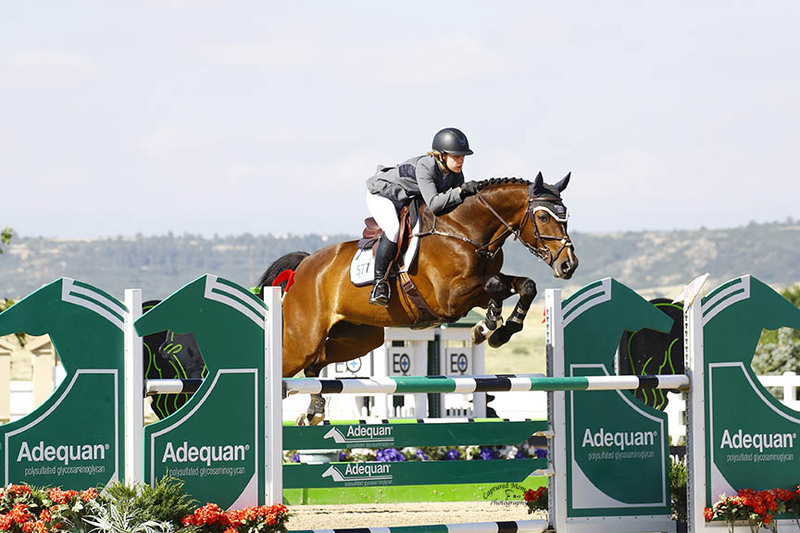 The group will head to the Chicago area next for Equifest at Lamplight Equestrian Center for weeks 2 and 3 in August. 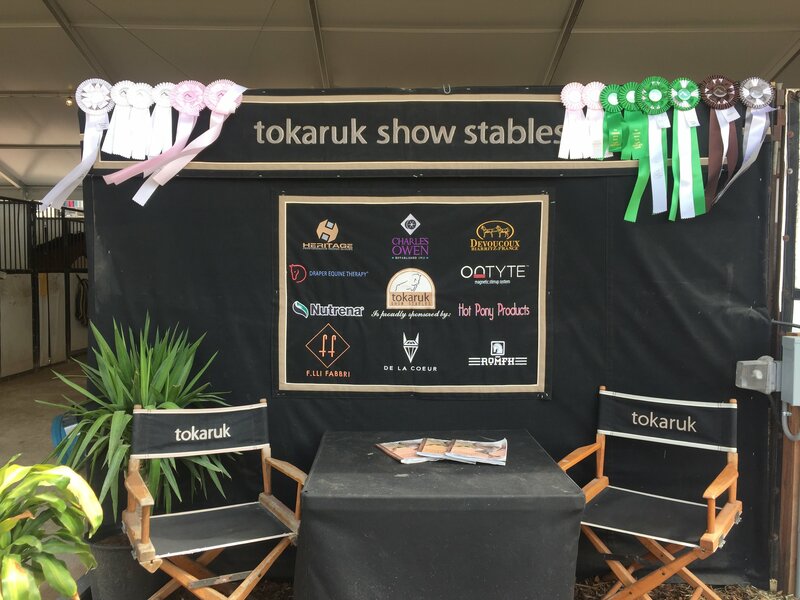 For more information on Tokaruk Show Stables or their quality sale horses, please visit the website at www.tokaruk.com or contact him through Facebook or Instagram @michaeltokaruk. Michael earned his degree in Political Science from George Washington University in Washington, D.C. Immediately after graduation, Michael accepted the position as head professional rider at Spring Mill Farm working for David Pellegrini for almost 4 years Michael has trained numerous juniors and amateurs to countless blue ribbons and championships in the hunter, jumper, and equitation divisions and has ridden many horses to championships in the professional hunter and jumper divisions at ‘AA’ rated horse shows across the Midwest and South. Most notably, Michael won the AHJF Legacy Cup Finals as a professional in 2005 riding Polaroid, and has won multiple grands prix over the past several years– reaching 13 career major wins. 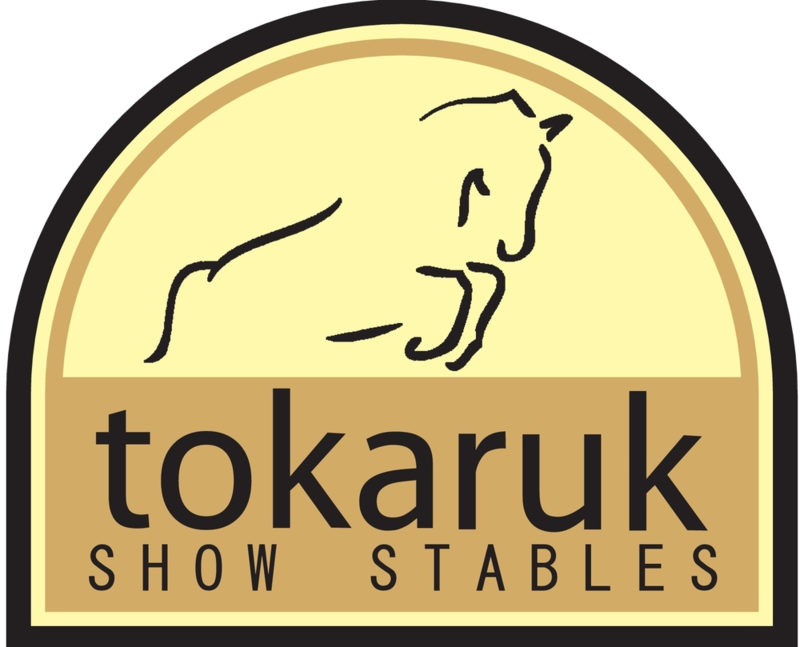 Tokaruk Show Stables is located in Collierville, Tennessee with 24 large stalls with plenty of lush grass paddocks for turnout. They have a large all weather sand ring, treadmill and several large grass fields for riding. Horses receive the finest training, care, feed, and daily attention as they are valuable athletes and are treated as such. Michael and the TSS staff customize a training and care program for every horse to suit its individual needs.